Suspense TV - Let's Get to Know Rex Marshall! Episodes taken from the Suspense radio show didn't always turn out well on television. 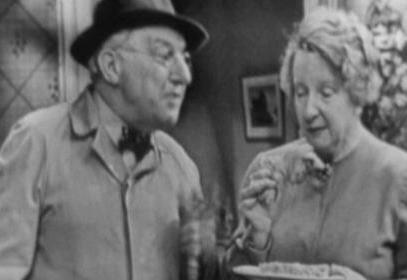 There is at least one case however, where the episode was much improved. "Summer Storm" was presented on the Suspense radio program on October 18, 1945, and despite the fact that it starred Henry Fonda, it was dreadful. For more information about the radio episode visit Escape and Suspense! 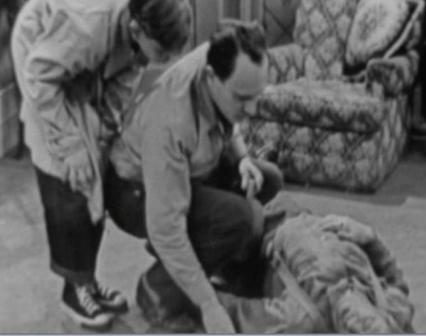 The television and radio episodes were both based on the same basic story of an accidental death in a boarding house. The radio version was tedious, but also a bit bizarre. The main problem was that the boarder, played by Henry Fonda, was a weirdo who constantly talked to himself. There was no reason to care about him. In the television version the boarders were a father and son. Here the story was an interesting father-son drama about fear. The teleplay for this episode was written by Marie Baumer from the story by Louise Este. 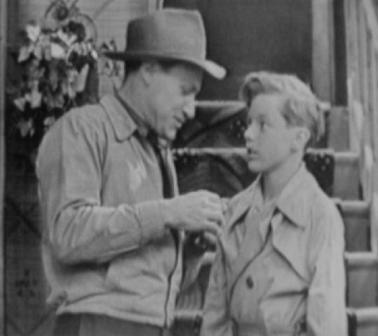 "Summer Storm" opens with Eddie Hunt and his son Jimmy as they are about to leave their boarding house. They are excited to be moving on because the house is run by a couple of ill-tempered slobs. Jimmy is a little bit nervous about the storm outside, but his father assures him not to be scared of anything. A scuffle ensues and Mr. Waters yells for help. There is a brief fight and Mr. Waters ends up on the floor. Eddie and Jimmy aren't sure what happened, but Eddie panics. When the neighbors start pounding at the door, Eddie and Jimmy go up into the attic to hide. The neighbors enter and find the lifeless body of Mr. Waters. The police are then called. Part 1 ends there. Rex Marshall then gives us an Autolite cartoon story about Marvelous Merlin the Magician and his spark plug troubles. When "Summer Storm" resumes, Mrs. Waters has returned to the house. The police can't get into the attic so they go back downstairs to question Mrs. Waters. She gnaws on a yummy pig's knuckle to help deal with her stress. When she goes to bed, Eddie and Jimmy have their chance to escape. Jimmy finally agrees to sneak out through the attic window and wait at the local diner for his dad. Eddie thinks Jimmy is scared of him now that he knows the truth about his father's past. Nevertheless, he helps Jimmy escape through the window and into the storm. By the end, both father and son have faced their fears and overcome them. They celebrate at the diner with a Coke. "Summer Storm" aired on January 17, 1950. E.G. 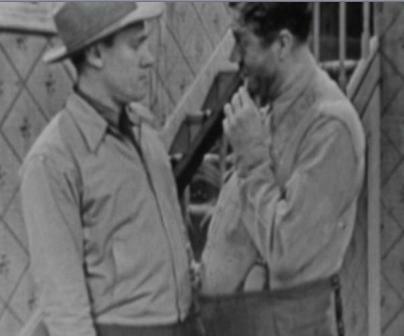 Marshall played Eddie Hunt and Jack Dimond played Jimmy. 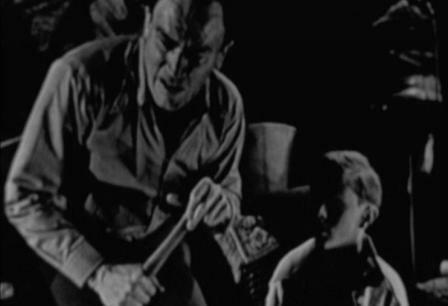 This episode is available on disc 3 of Suspense: The Lost Episodes Collection 1, but it is incorrectly dated on the package as having aired on February 19, 1952.